I love watching Venus and Serena Williams smack those tennis balls around. These beautiful women are fierce competitors, sisters and best friends who always have each other’s back. Much was at stake when Venus, 35, and Serena, 33, hit center court at Arthur Ashe Stadium for the U.S. Open Tuesday night. This week Serena is playing for history. If she wins the U.S. Open this week, she will have achieved the first Grand Slam in 25 years. The Grand Slam is to tennis what the Triple Crown is to horse racing. It is made up of four major tournaments: The Australian Open, The French Open, Wimbledon and the U.S. Open. It’s huge to win all four because they are played in different countries at different times of the year on different types of courts. 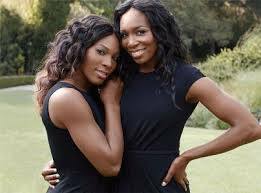 Last night, commentators wouldn’t let us forget that these sisters each wanted to win, like that was a surprise. Of course they wanted to win! 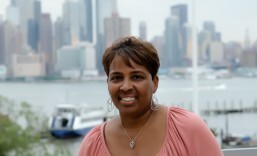 They are and have been among the top women in tennis for nearly two decades. Not only is tennis their occupation, it’s their passion. I was baffled to hear sportscasters talk about whether Serena was happy or sad to beat her older sister — who gave little sis a great match. The two have played one another 27 times in tournaments and countless other times in life. They know better than anyone their strengths and weaknesses, and use that knowledge to develop their respective strategies in high stakes matches. After her win, Serena was classy as always, calling her sister the best player and the best person she knows. The two are also doubles partners. Venus, ever the gracious and protective big sister, exited the court quickly to the cheers of the crowd. Getting beat by her sister didn’t seem to faze her one bit. What I love about these women is that for 20 plus years they have dominated in a sport that still remains largely white. They have endured the slights, the shade and the straight up racist remarks. I remember when they rocked braids and beads. Other players sometimes complained that their beads were falling off and littering the courts. Most recently, Serena has faced criticism about her muscular physique, which my husband and many other men I know adore. 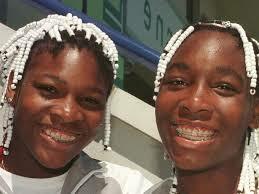 Through it all the Williams sisters from Compton, California are true to themselves and true to each other. They have worked incredibly hard all their lives and reached the highest levels of their sport. They’ve done so while expressing their individuality without apology. They don’t conform, they transform. They are shining examples of sisterhood, friendship and excellence.